Construction of the defensive citadel, located in the upper sector of the city, began in the second half of the 10th century. The alcazaba, provided not only with walls and towers but also with squares, houses and a mosque, was to be also the seat of the local government, commanding the city and the sea nearby. The complex was enlarged under caliph Al-Mansur and, later, under Al-Jairan, first king of the independent taifa of Almeria (1012-1028). 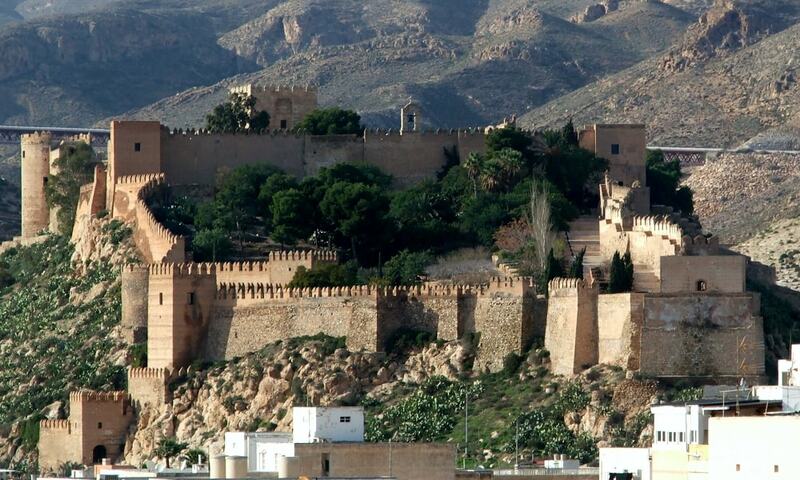 The word alcazaba, from the Arabic word al-qasbah, signifies a walled-fortification in a city. The Alcazaba has been used to film Conan the Barbarian, Indiana Jones and the Last Crusade, and Never Say Never Again as well as the syndicated TV series Queen of Swords used the inner courtyard and gardens.